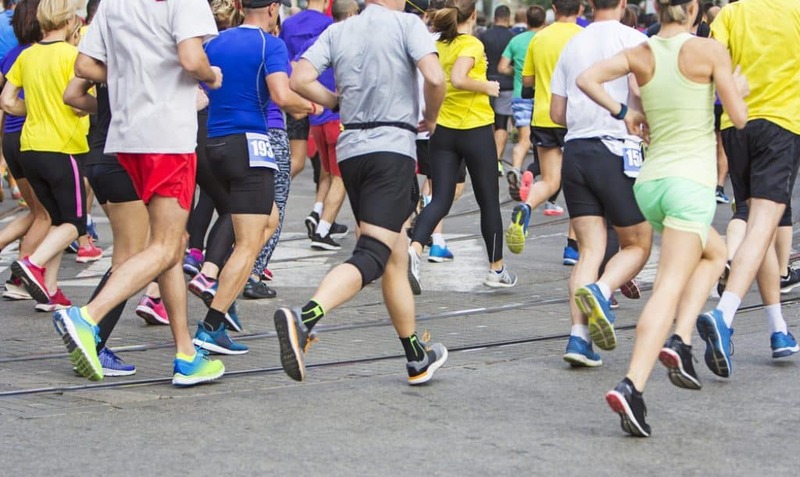 Finding the best running shoes for orthotics can be tricky. This is hard with over-the-counter inserts but is especially true if you have a full-length orthotic. Because orthotics tend to be thick and take up a lot of space in a shoe, the best running shoes have additional volume in the upper, especially once the factory insert is removed. Unfortunately, many running shoes these days don’t offer extra room in the upper. That’s why we’ve searched the market and found the best running shoes that can comfortably fit an orthotic. But these shoes are not all the same. There are variations in arch support, level of drop from heel to toe, stability, breathability, and comfort. Below are seven great options to help you pick the right fit to improve your runs. The Echelon 7 is a neutral running shoe, built for road running. It’s also ideal as a walking shoe. The Echelon’s ‘Foundation Platform’ makes the shoe very accommodating of both wider feet and orthotics users. The shoe features technologies that support the whole foot. These include a heel frame (to prevent the heel from sliding), a special midfoot support and a toe cap that prevents bruising. With evenly distributed cushioning, the gait cycle is enhanced for improved balance, with a gentler 8 mm drop compared to the average of 12mm. The shoe features arch support designed for low to medium-high arches. The latest version an improved fit, much more comfortable than past versions. It’s also has a smoother toe-to-heel transition when walking and running. The Echelon 7 has a mesh upper to increase ventilation across the whole foot, though it does weigh more than lightweight shoes. The Brooks Dyad 10 is built for stability and designed for orthotics use, and for those with a low or flat arch. 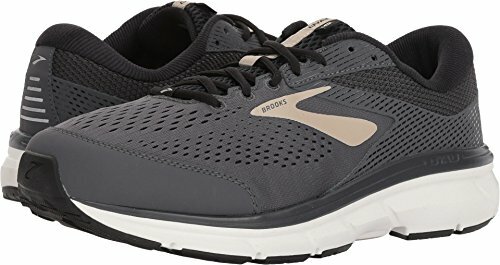 With neutral support, the Brooks ‘BioMoGo DNA’ cushioning adapts to your feet while you move, giving a soft feel and ensuring less shock when running or when walking on hard surfaces like concrete. This version of the shoe is a bit lighter than previous versions. It has more toe room for those with wide feet and for wearers who need to fit orthotics comfortably. The Brooks Dyad 10 features a mesh upper for great ventilation, with a little less flexibility to enhance stability. The ‘Dual Arch Pods’ further enhance stability and are coupled with a plush sock liner for ultimate comfort. 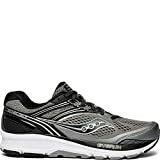 Built for road running or walking, these shoes are designed for flat-to-low arches, and for those of you looking for a supportive running shoe. The midsole drop is 12mm, which is average, though higher than that of the Saucony. 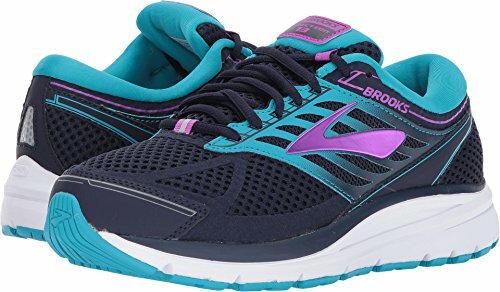 Brooks features its special ‘BioMoGo DNA’ cushioning in this model as well, which gives the midsole a very comfortable feel throughout your walk or run. The fit is designed for both flat and wide feet, but accommodates narrow feet fine too, as well as those who need to fit orthotics in comfortably. The Addiction 13 also provides smooth transitions with a special heel design and added cushioning in the sock liner for a plush feel. This model provides maximum support and control with its progressive diagonal rollbar. Buyers have said these are good for walking and running. Some have said they haven’t been great for standing for long periods, while others wear them to work and don’t have an issue. Sizes accommodate up to a men’s 4E and women’s 2E. The Addiction 13 is a great option for orthotic wearers who want added stability. These shoes maintain Brooks’ high-quality construction and appealing style. Asics are well known for making great running shoes, and this model is no exception. Built for neutral runners, it provides a durable sole, great motion control, and a supportive midfoot. For added stability, there is extra heavy-duty plastic to prevent the midfoot from bending or twisting, and additional material around the heel’s upper to stop heel movement. The gel within the rear and forefoot improves shock absorption, and the material surrounding the middle of the shoe is covered by durable rubber. The shoe has a breathable mesh upper for ventilation. There is thick, cushioned insole to add comfort for those who don’t replace the factory insert with another orthotic. There’s also a plush heel collar and tongue. The Fortitude has a medium width throughout the shoe, which can be useful for those who need it, otherwise it might be a bit loose. The arch inside is flat, so it is very accommodating of orthotics inserts. It also provides a nice wide toe area. 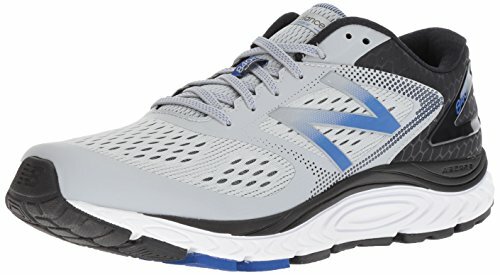 The New Balance 840v4 is a lightweight shoe with a flexible response for running on roads or power walking. It is designed to be supportive while maintaining some flexibility. It is comfortable with good arch support. This line features New Balance special ABZORB foam with a blend of neutral cushioning and compression properties. The 840v4 has a 12mm drop like many of the other shoes listed here. Many buyers have complimented the shoe on its great fit. Also featuring a plush tongue and collar, this shoe has a nice breathable mesh that keeps your feet cool. It is designed to be wide enough for people with flat feet. There have been some reviews complaining that this isn’t the best solution for orthotics wearers who also have some correction, with their particular pair rocking a bit inside the shoe. For people with narrow feet, the narrow size fits comfortably, and perhaps better than other shoes. Another shoe focused on high stability, this model is especially good for those who need some extra cushioning. The shoe gives a responsive experience with its special plate construction (also the foundation of its stability). It also has a smooth transition and solid protection on impact, while providing plenty of flexibility. New users feel confident with the traction in the sole and its durability. The upper features a thick ankle collar and padding, as well as breathable, yet slightly stiff mesh for keeping the foot cool. Some users have said the liner was too heavy and ended up replacing it. The toe area is a standard size that seems not to be an issue for most people. With special Mizuno foam the Horizon 2 provides plenty of softness and comfort, and the various technology combinations offer a great balance between running smoothness and highly-sought-after stability. Shock absorption within the midsole has also been touted by buyers, as well as how good the shoes were on both long and short runs. Touted for its great stability without being too constrictive, the ISO 2 provides motion control for running if you have flat feet or an unstable gait. The sole and insole are quite flat, which works well for orthotics. 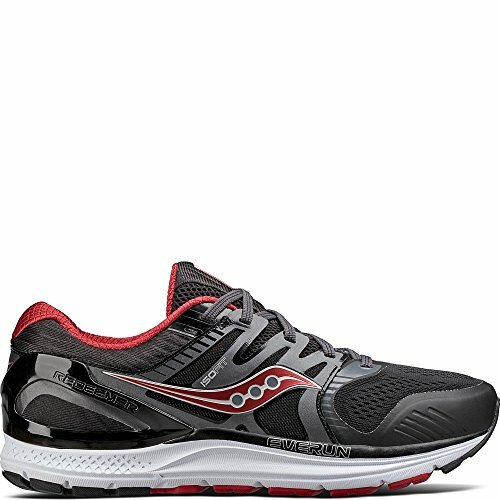 Saucony provides a special layer of Everun foam, which is soft and responsive while you run. An appealing feature is the gentle 8mm drop (compared with a 12mm drop on other shoes) that gives a natural feel throughout your stride. Users with high arches have also said these provide a comfortable fit, but the price tag is higher than other shoes. And users with flat feet, wide feet and bunions have also enjoyed the comfort and fit of the Redeemer ISO 2. The upper is on the heavy side, as well as warmer and not as breathable compared to the other models. 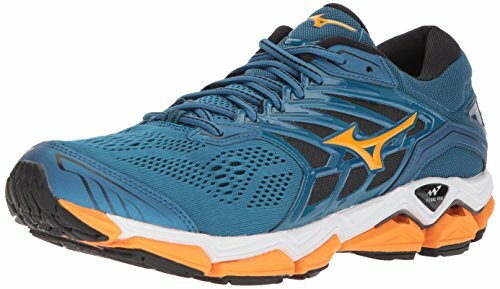 But the shoe gives a very comfortable fit for running with its extra durable cushioning. The outside has a wide base and is again very flat, but has good flex. The heel has been said to be very wide and can cause slippage for some people, but this might be solved by inserted orthotics. If you wear orthotics getting the correct pair of shoes is important if you want them to fit and do their job. The ways running shoes are made these days make it harder to fit the thicker, custom orthotics into shoes. 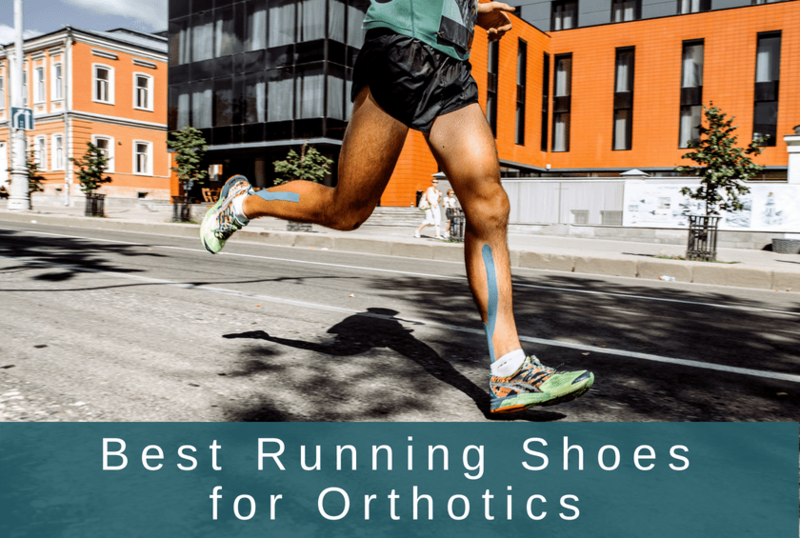 Looks for these features when shopping for a running shoe to wear with orthotics. A straight-lasted shoe is the best choice for inserting an orthotic because it fits a wider-rectangle-shaped foot, meaning that there is room to accommodate an orthotic. This is especially important if you need a wider or full-length orthotic. In addition, a straight-lasted shoe based on its construction is a more rigid and stable shoe, making it a good fit for people who wear orthotics. Of course, it’s important to make sure that the shoe is not too large and is loose around the ankles. Having extra volume in the upper will give you the room for extra thick and cushioned insoles. Obviously, the thickness of orthotics can vary greatly depending on your needs, but you’re going to take up more room in a shoe with an orthotic than with a sockliner. Thus, it’s going to be harder to place an orthotic insert in a low-volume shoe. You should aim to choose a shoe that is at least medium in its upper dimensions as well as looking into purchasing a wide shoe, as that will also provide additional volume. You want to make sure that you can comfortably fit your orthotic in your running shoe. It is most helpful to place an orthotic insert into a neutral shoe, as it doesn’t have all the bells and whistles to make your foot more stable. In a way, putting an orthotic insert into a shoe that is already designed to help with stability is overkill, according to Dr. Jeffrey Ross, a podiatrist in Houston. Should I choose custom orthotics or over-the-counter inserts? This question is really based on the individual. What do you personally need and/or want? Custom orthotics are made by doctors or chiropractors, and they are usually expensive and often not covered by insurance. At the same time, they are going to fit your foot very well, as it is designed for you specifically.On the other hand (or foot! ), over-the-counter orthotics are cheaper options, but they are not unique to a runner’s foot. Thus, they may be more uncomfortable and may not provide the full extent of support that you need. Generally speaking, we recommend trying an over-the-counter insert first and seeing if that helps. If it doesn’t, try the more expensive custom orthotic. How do you put orthotics or inserts in running shoes? If you purchased a custom orthotic, you simply need to take out the existing insert and put in your custom orthotic. If you selected an over the counter insert, you will need to use the existing insert to trace around the over-the-counter insert, cut the over-the-counter insert, and then put the over-the-counter insert into the shoe.